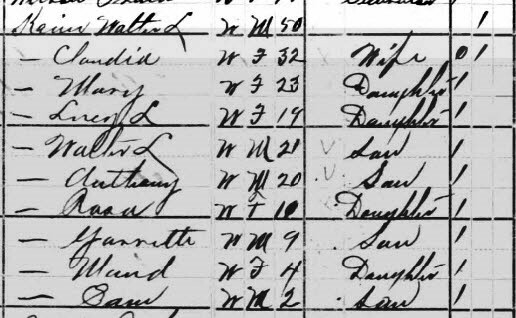 Census 1860* He was Head of Household on 17 October 1860 in Holmes Co., Mississippi. 1870; Census Place: Tchula, Holmes, Mississippi; Roll: M593_731; Page: 213B; Image: 47030; Family History Library Film: 552230. [S3255] Directory of Deceased American Physicians 1804-1929, Ancestry.com.